"The girl behind This Freckled Girl, or should I say family, because I wouldn't be able to do this without them. My name is Melissa, I'm a homeschool mom of these beautiful 3 kiddos that God has blessed me with. I married my best friend, its been 8 years now (wow, time flies) he supports me so much in everything that I do. At first, I started This Freckled Girl to help pay medical debt from when my son had surgery shortly after he was born, but now not only do I do this for financial reasons, but because I have a passion for creating (and because I am a fabric addict). My daughter is my inspiration, she's always been her own person, unique! She helps pick out fabric that kids will love and she is putting in her two cents into our new upcoming exclusive prints." Use coupon code CHRISTMAS13 for 15% off. 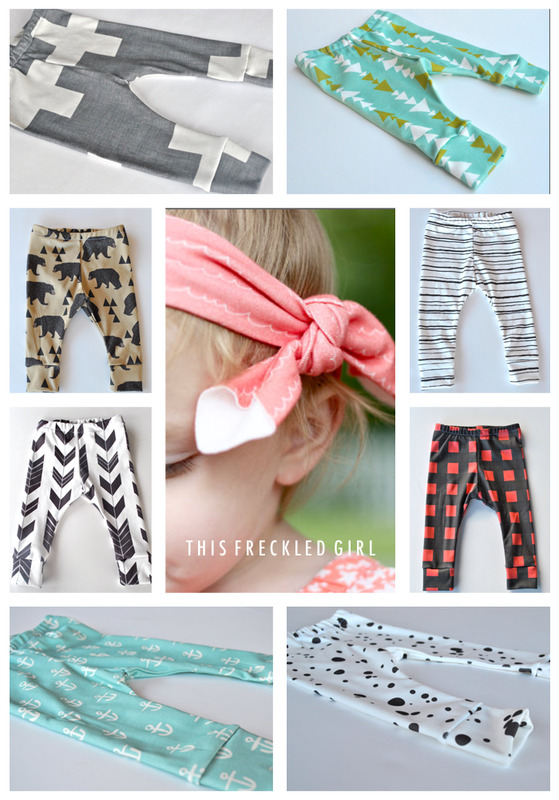 Giveaway: One pair of leggings - winner's choice.